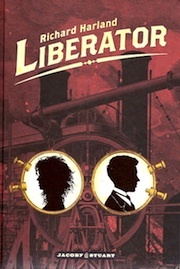 The Australian edition of Liberator is priced at $19.99. 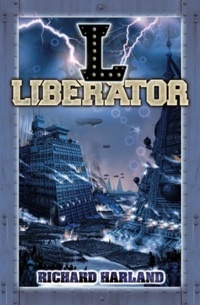 Good for Allen & Unwin - they kept it down below twenty bucks, even though Liberator is a fair bit longer than Worldshaker. I reckon that's pretty hot value: 465 pages for under twenty bucks! Click on the cover for a maximum size image! 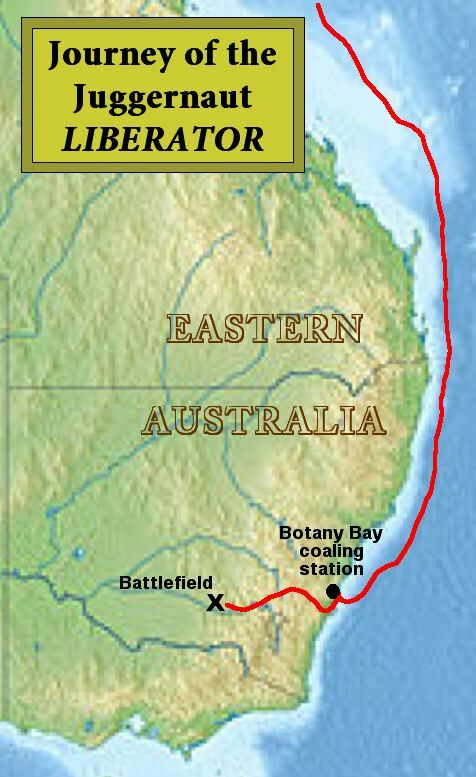 What happens when a revolution goes bad? Col dreamed of of peace and harmony on board the liberated juggernaut, but not any more. Now fear and suspicion reign, along with conspiracy, persecution and even murder. 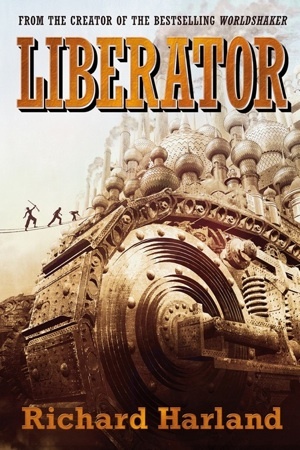 It's three months since the Filthies from below decks took over the juggernaut Worldshaker, re-naming it Liberator. The Upper Decks people who have chosen to stay all believe in the revolution—except for one. Someone is secretly sabotaging the juggernaut from within. There's an outside threat too. The other juggernauts are still under the rule of Emperors and Tsars, with a privileged class cruelly tyrannizing over a slave class. They don't want the spirit of revolution to catch on, and they intend to wage all-out war to snuff it out now. 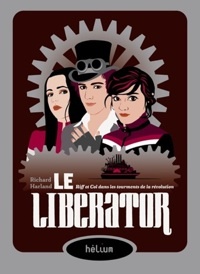 On board Liberator, Col is desperate to prevent the extremists gaining power. The Upper Decks people who have chosen to stay are living in small, scattered ghettoes. Col can hardly get to talk to Riff any more; her friends hate him, and she's embarrassed to be seen with him. Then a new leader rises up: a girl who'll stop at nothing to defeat the moderates and push the revolution all the way. Her fanatical will is as remarkable as her beauty. Lye intends to shape the future of the world—and win Riff over at the same time. Meanwhile, the Menials have been moved to Garden Deck, tending vegetables in the fresh air and sunshine. No one knows how to reverse the surgical operation that limited their minds and took away their voices. Riff can't bear to visit Garden Deck because she knows her own mother and father were converted into Menials. Bigger and better than Worldshaker, with a climax that begins half way through and powers on all the way to the end! Is this is the book that can not be put down?